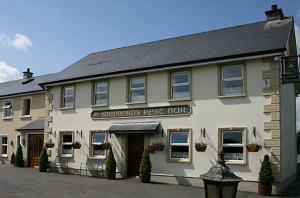 This peaceful family-run pub is tucked away in the foothills of the Sperrins, where the river Moyola is just a little stream. It is an area of outstanding beauty steeped in history and folklore. The public house is at the centre of Ireland’s social scene. Whether you love it, or loathe it, the pub is the hub of Irish life, and is well renowned locally for its lively conversation, local banter and traditional wit. A Hot Air Balloon flight is the perfect gift for individuals, couples or groups wishing to celebrate their special occasion. For details contact Peter on 07565 095818 or email.